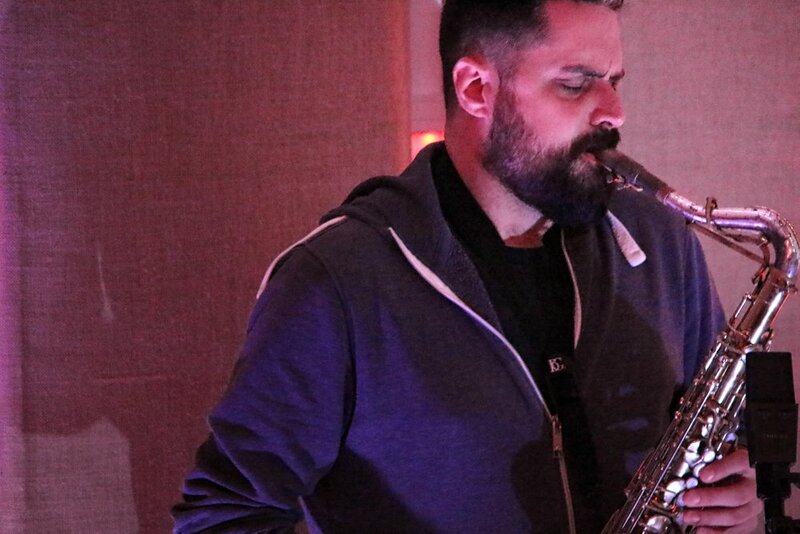 Gunwale matches veteran Chicago saxophonist Rempis up with two of the up-and-coming stars from the next generation of Chicago improvisers. Packard is known mostly for his extensive work as a composer and percussionist within the thriving contemporary classical scene in Chicago, while Wildeman has achieved fame for his meteoric rise from novice instrumentalist to one of the busiest players in town after relocating to Chicago from the Netherlands in 2011 to immerse himself in the city's broad-shouldered music world. These two contribute noticeably fresh perspectives to this ongoing and ever-evolving local dialogue, a world of which Rempis has been a flagship member for almost two decades. As a trio, their voice carries a unique shape, combining a love for full-on blasts of energy with a sensitivity to the smallest details, resulting in music that can be a freight train one moment, and an insectoid microcosm the next. The band released their first recording “Polynya” on Aerophonic Records in the summer of 2016, and toured the U.S. in support of that record with fourteen concerts in October of 2016.